This Mikasa youth knee pad is manufactured for knee protection during sports such as volleyball and basketball to prevent different knee injuries, for example, bumps, bruises and abrasions which usually are caused by blows, attrition or other outer impacts. As volleyball is the game which includes frequent digging and diving, knee protection is absolutely necessary, otherwise there is a possibility to get serious knee damages. This volleyball knee pad has unique feature – it includes special antimicrobial technology which fights staphylococcus bacteria and thus eliminates bad odor which can be caused by intensive and regular sweating. As this technology helps to prevent bad odor, this pad can be washed less often which is very important during periods of intensive trainings and competitions – there is no need to wash and dry them after each sports activity. Another feature of this volleyball knee pad is moisture wicking fabric which, as it can be surmised, wicks moisture away, leaving its wearer’s body cool and dry, thereby enhancing comfort and performance. Its contoured ethylene-vinyl acetate foam or, in other words, EVA foam padding is protecting kneecaps, therefore, you can freely fall on the ground without worrying to get knee injury. As this knee pad is made of durable and elastic nylon, it has compressive functions too, so your knee gets more support and stability. This Mikasa Youth Volleyball Knee Pad is available in black and white color. It has contoured EVA padding which gives it interesting and stylish look. This product has black or white Mikasa logo on top, depending on pad’s basic color. This Mikasa youth knee pad is suitable for juniors – for children who are 11 years old or younger. 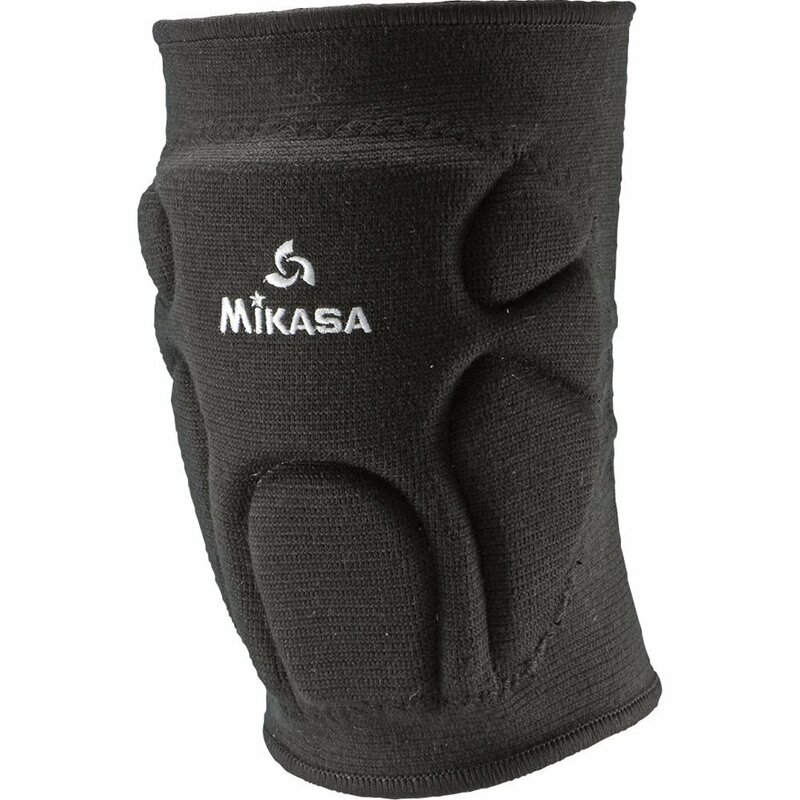 This Mikasa Youth Volleyball Knee Pad is meant for knee protection against knee damages during sports games such as volleyball and basketball. This product is made of nylon and EVA foam, and it is available in black and white color. This Mikasa knee pad is suitable only for children who are 11 years old or younger. It includes features such as antimicrobial technology which fights staphylococcus bacteria and thus bad odor, moisture wicking fabric, EVA foam padding and compression functions. This pad is machine washable and usually it is sold in pairs.